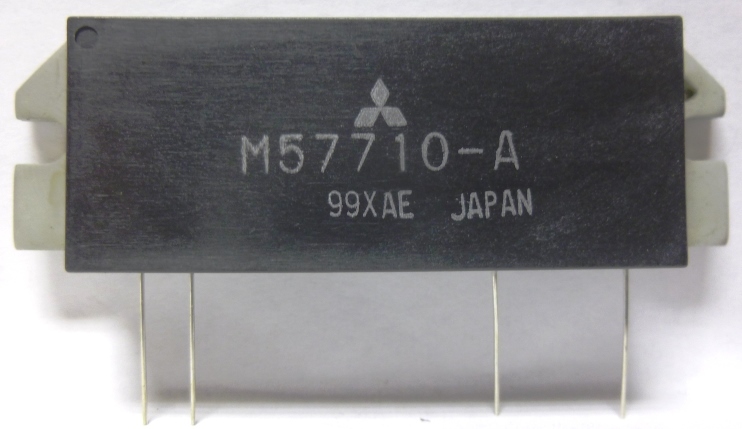 Mitsubishi Silicon RF devices which are the key parts for amplifying power of the transmission stage of mobile wireless communication devices in the high frequency band from several MHz to 1GHz robustly support wireless communication networks with a wide range of product lineup, such as mobile professional radio equipment for public agency use, amateur radio equipment, and the onboard vehicle telematics market. Most of our Power Modules have a data sheet. When you click on a part, under the image click on the "Data Sheet" tab. If no data sheet is avaliable please contact our customer service department and we will try and track one down for you. Will fit most Mitsubishi RA Series modules of 13, 30, 45 & 60 watt, and Toshiba SAV Series utilizing H2 & 5-53P configuration. 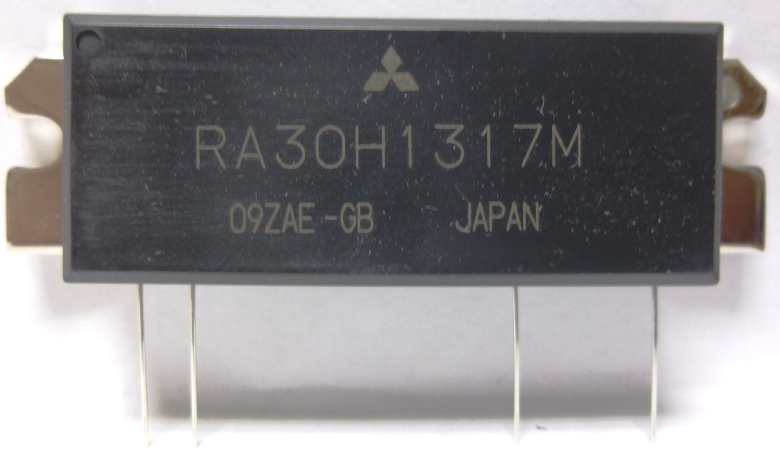 Originally designed for RA18H1213G 1200-1300MHz module, the DEM2330 comes with application notes for this module. 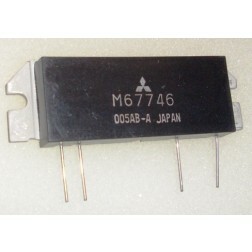 Can be used for most applications from 50-1300MHz when appropriate caps and inductors are used. FR4 board with plated thru holes. (M57727, M57735, M57745, M57762, SAU4, etc.). Easily modified to use H2 case styles (SAV7, SAV15, SAV17, etc.). Includes application notes for module frequencies 50-1300 MHz. Provides for placement of bypass capacitors and choke coils. 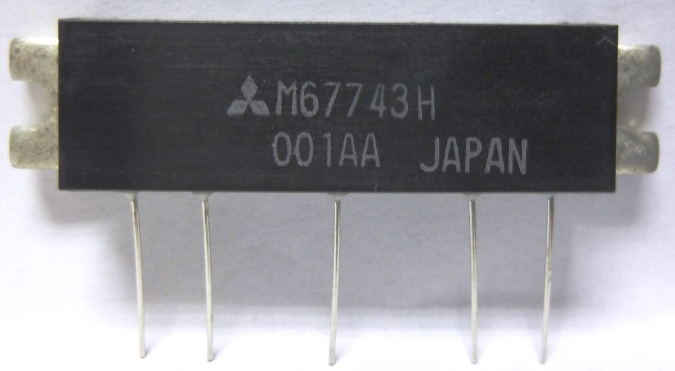 Connections for MC7809 voltage regulator if required. Double-sided FR4 board with plated thru holes. 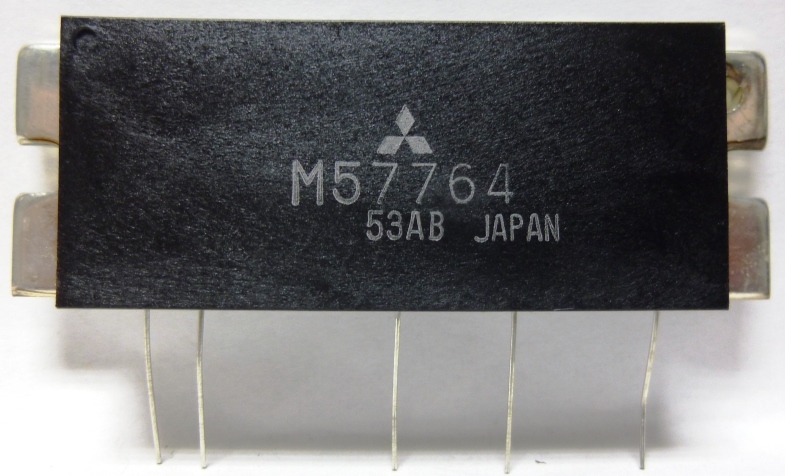 (M57787, M57799, M67715, M67723 and most 42-45mm length modules). Includes application notes for module frequencies 50-1300 MHz. 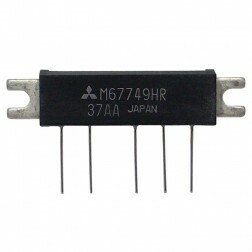 Provides for placement of bypass capacitors and choke coils. 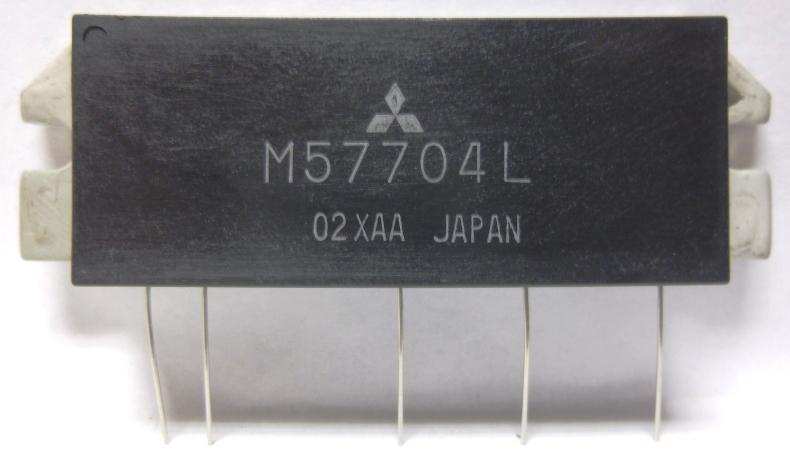 Connections for MC7809 (78S09) voltage regulator if required. Double sided FR4 board. NOTE: Before Module Installation, antenna switching PIN diodes should be tested (normal Ohmmeter test for Hi/Lo resistance). 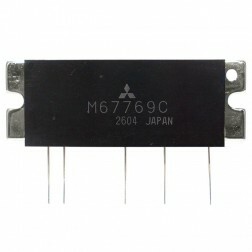 No exchange or warranty on transistors or modules which, in our opinion, have been damaged, installed, or soldered to. Modules and Transistors are fully tested under load and SWR by the factory to meet their specifications. Check your circuit, antenna, coax, etc., to make sure it is properly adjusted or repaired before installing new part. No further Warranty is assumed or implied. 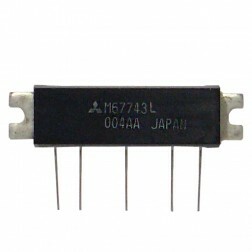 We can supply equivalent Icom "SC" part numbers. Please contact our Customer Service Department if you need further assistance. * Call for technical information.